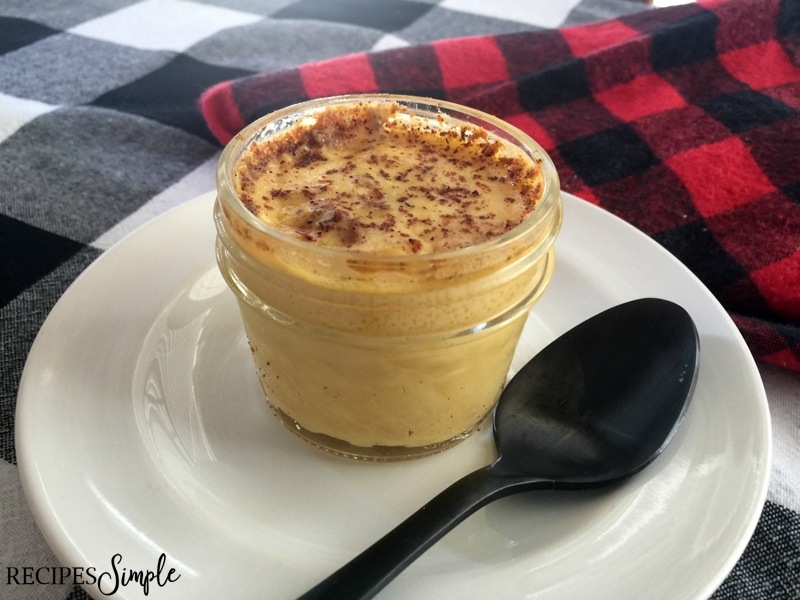 These homemade Individual Creamy Eggnog Custards are the perfect Christmas dessert. It’s a simple festive twist on a holiday classic. 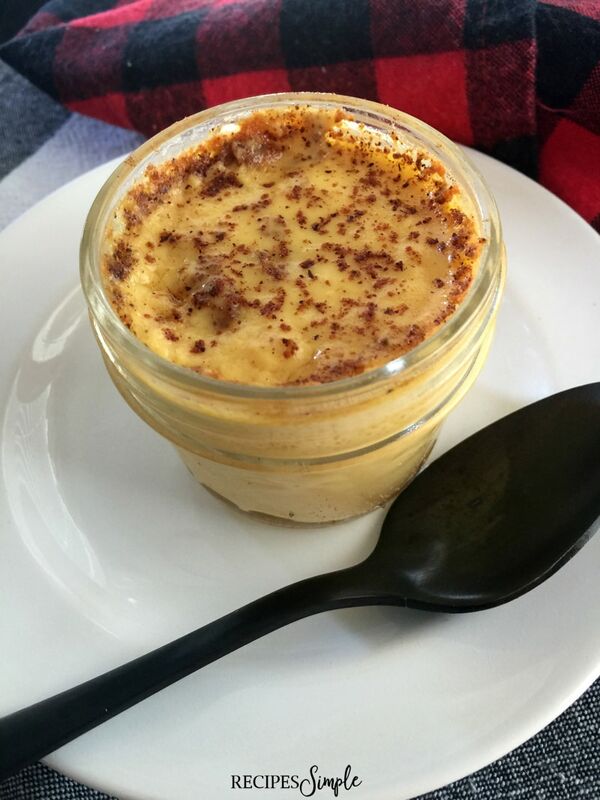 If you love the creamy nutmeg taste of Eggnog for the holidays then you are really going to enjoy this Eggnog Custard for dessert! 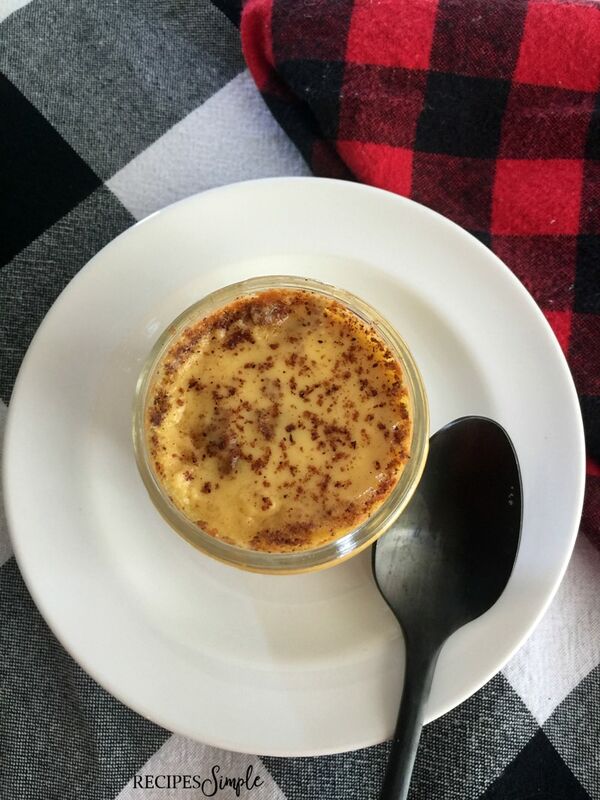 It gives you all the flavors that say Merry Christmas but with a thick creamy texture that is perfect for savoring with a cup of coffee after dinner or even a frosty cool glass of eggnog. This recipe is perfect for two people to enjoy sitting by the fireplace and the Christmas tree but it can easily be doubled, tripled, or more to feed a crowd. 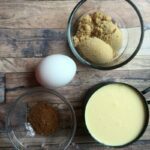 To make this creamy Eggnog Custard you will need a cup of your favorite eggnog, one egg, granulated sugar, brown sugar and Nutmeg. Preheat the oven to 350℉. Butter 2 small ramekins well-bottoms and sides. I made mine in small cute mason jars and the filling was almost enough for 3 of them. 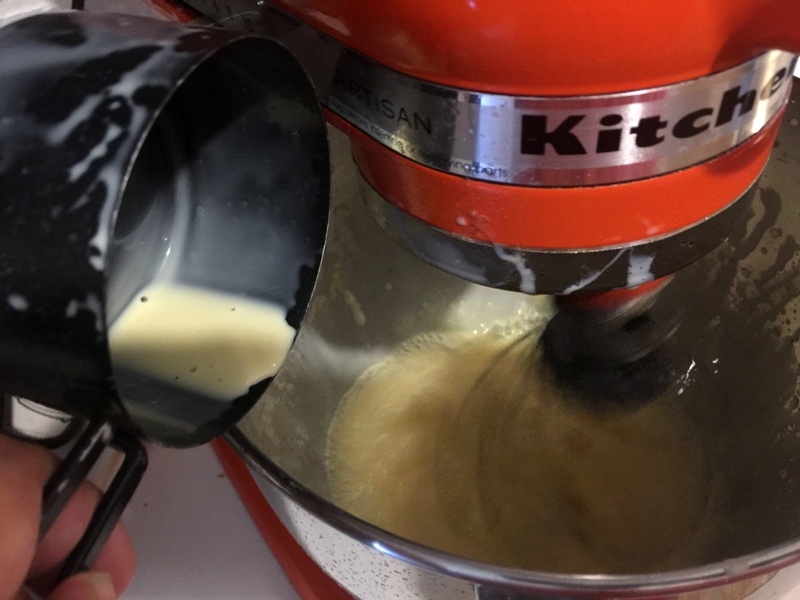 Beat egg with a hand or stand mixer until well mixed. Slowly mix in eggnog. Finally add sugars and nutmeg. Heat water in microwave for 2 minutes, pour into a small 8 inch baking dish. 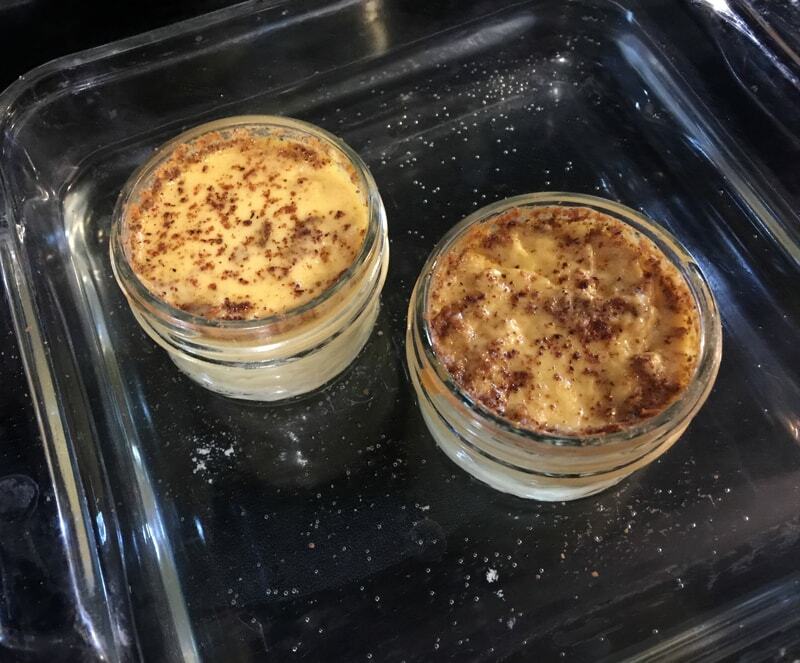 Pour egg mixture carefully into small ramekins and place in round pan then pour water so that it goes halfway up the outside of the ramekins or mason jars. Bake for 30-35 minutes until a fork or knife inserted into it comes out clean. Remove from oven and sprinkle with just a dash of nutmeg before serving. This makes two servings. You can double or triple the recipe for more servings. 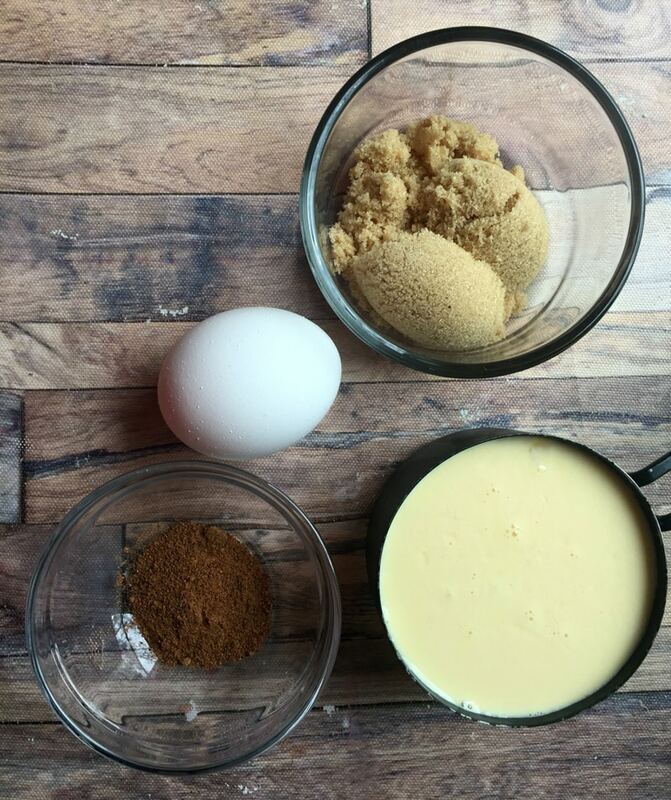 Hope you enjoy this Creamy Eggnog Custard. It’s a special Christmas treat that my family loves! Butter 2 small ramekins well-bottoms and sides. 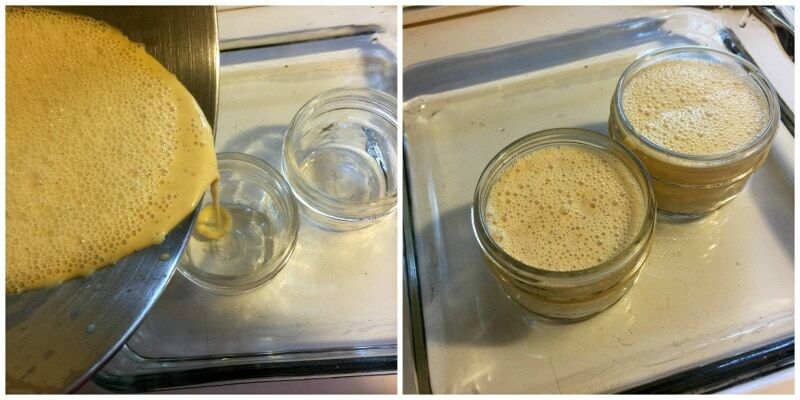 Beat egg with a hand or stand mixer until well mixed. Next add sugars and nutmeg. Pour egg mixture carefully into small ramekins and place in round pan then pour water so that it goes halfway up the outside of the ramekins. Bake for 30-35 minutes until a fork or knife inserted into it comes out clean. Remove from oven and sprinkle with just a dash of nutmeg before serving.